Receipts were 1421, including 447 packer cows, bred cows and pairs, 974 yearlings and calves. Packer cows were steady to $4 higher. Packer bulls were steady to $3 higher. Market on replacement cows and pairs were steady but $100 higher on the young and better kind. Market on steers and heifers weighing 500# and under were $3 to $5 higher. 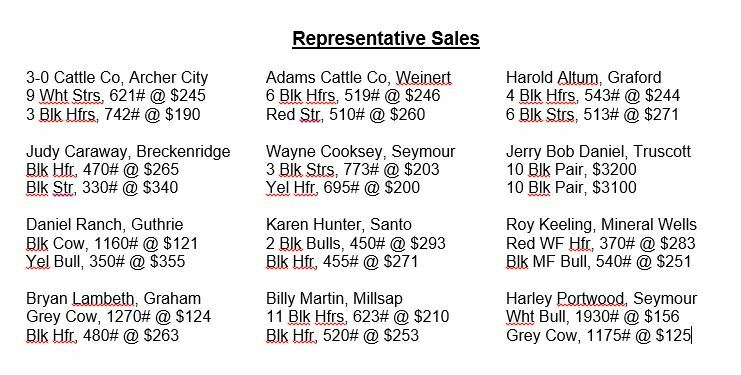 Feeder steers and heifers weighing over 500# were steady with an active bidding. We had a good run of cattle today with the market being real strong. Receipts were 831, including 117 packer cows, bred cows and pairs, 714 yearlings and calves. Packer cows were $2 to $4 higher. Packer bulls were steady to $2 higher. Market on replacement cows and pairs were steady to last week’s higher market. Market on steers and heifers weighing 500# and under were $5 to $8 higher. Feeder steers and heifers weighing over 500# were $2 to $4 higher. The market was higher on all classes of cattle. Receipts were 2116, including 645 packer cows, bred cows and pairs, 1471 yearlings and calves. Packer cows were steady. Packer bulls were steady. Market on replacement cows and pairs were $150-$200 higher on the better kind. Market on steers and heifers weighing 500# and under were $2-$5 higher. Feeder steers and heifers weighing over 500# were steady to last week’s high market. We had a good demand on the better young, bred cows and pairs. Receipts were 944, including 244 packer cows, bred cows and pairs, 700 yearlings and calves. Packer cows were $4-$8 higher. Packer bulls were $5-$10 higher. Market on replacement cows and pairs were steady on a light test. 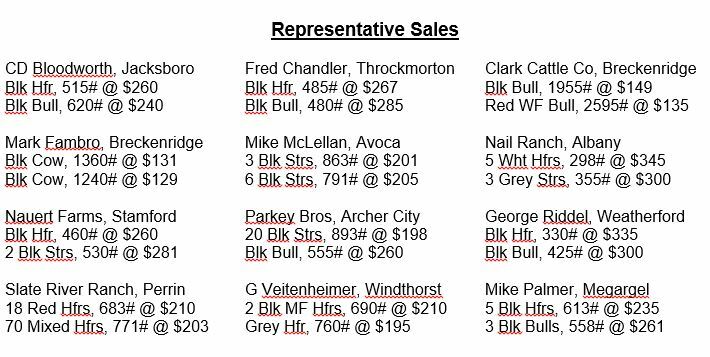 Market on steers and heifers weighing 500# and under were steady with very active bidding. 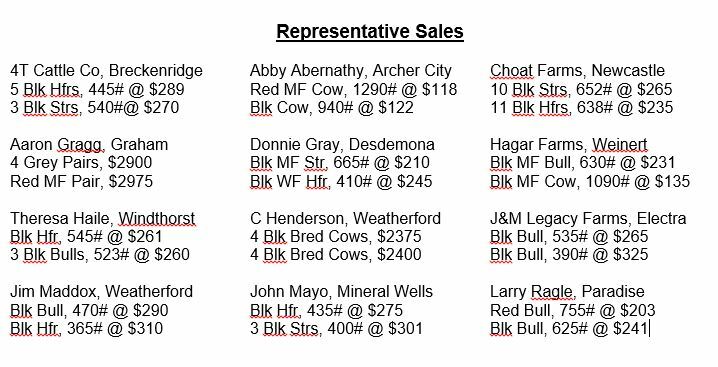 Feeder steers and heifers weighing over 500# were steady to last week’s high market. The market was higher on all classes of cattle.